Eliminate Waste – This refers to waste in knowledge work, which largely consists of partially done work, extra processes, extra features, task switching, waiting, motion and defects. Empower the Team – The idea is that the team possesses the superior knowledge of the technical detail and thus should be trusted and empowered to make “localized” decisions. Deliver Fast – This refers to iterating often to bring to the surface the best ideas and options as well as deliverables. Optimize the whole – Think in terms of the whole rather than the sum of the parts. Build quality in – Avoid “testing in” quality at the end of cycles, but rather focus on building quality into the product at every phase of the development cycle. Defer decisions – While this may be counterintuitive, if you can defer decisions until the last possible moment, you can gain more clarify on requirements, employ more mature technology, and other relevant time-based benefits. Amplify learning – This is all about doing and communicating – often. Execute, re-think, LEARN, re-group…then do it all again, but with increased knowledge. 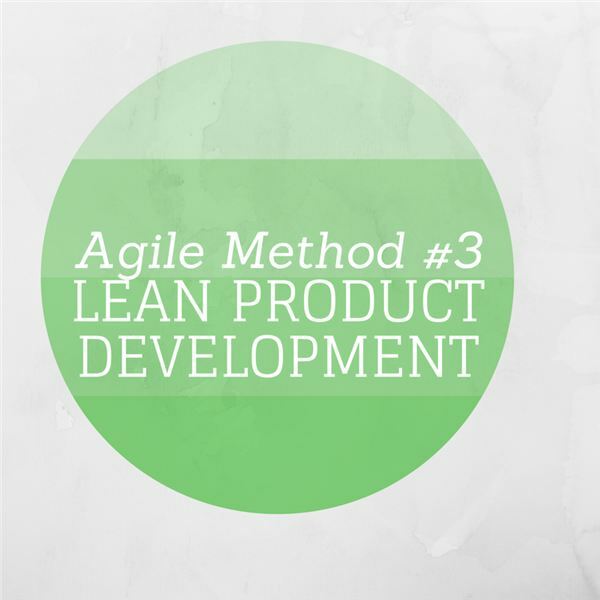 The lean product development method has a great deal to offer in terms of best practices. All of the core concepts fit well as part of any agile method being used, so lean can easily be practiced in conjunction with any other agile methodology.